The transition to retirement for some is so stressful that they become almost paralyzed with fear. It’s important to address those fears and work through them because being in such a state can often lead to hasty or poor decisions, especially around investments. I recently had the opportunity to collaborate on a project with Susan Levine, MA, LPC, and so enjoyed the experience that I asked her to join me this month to lend her expertise to the subject of retirement, women and money. Q: Susan, your counseling practice helps women who are facing major life transitions, with retirement being one of them. What are some of the most pressing concerns a woman might face as she prepares to leave the workforce? Q: What do you most often hear as concerns about finances? A: The question of how you’ll live in retirement becomes a pressing one, and you may experience stress as you wonder, “Have I saved enough?” And, if that’s not anxiety-provoking enough, we can add, “What happens if I develop health problems?” Sounds pretty daunting, doesn’t it? These words as applied to finances in retirement are all about doing the homework of retirement. Take an objective look at your finances. Enlist the help of a professional. Learn about what the actual numbers are telling you. Q: What might a woman who’s feeling especially anxious or fearful do to help her move forward with more confidence? A: Easing those anxieties is a process of naming and defining them. 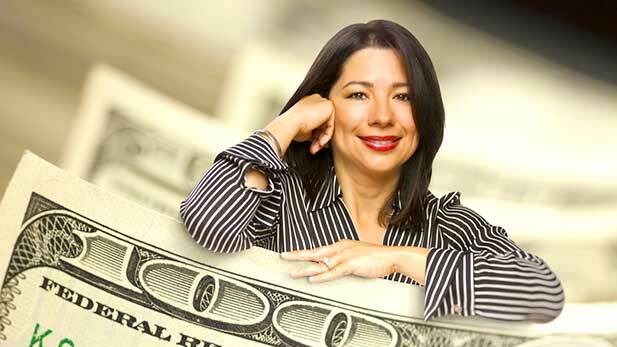 When I was moving forward with my own retirement, I worried about how I would pay the bills without that monthly paycheck. When I was in full blown anxiety mode, all I could see or feel was my fear. Every scenario I envisioned was one of doom and gloom. It was impossible for me to move myself to a place of objectivity, where I could look at my budget, savings, pension and Social Security with any clarity. I couldn’t see what I DID have in place, I only saw what I DIDN’T. Luckily, I had a great support system that helped me find the clarity I needed, but first I had to step outside of what I was feeling so I could gather the facts and then look at what possibilities were available to me. Q: What are you thinking of when you talk about “possibilities”? A: Possibilities are a sign of hope and faith in being able to create something meaningful for the future. In anticipating retirement, redefining ourselves in terms of who we aspire to be without our work identity is an opportunity to get to know ourselves in a deeper way. Dispelling the stereotypes of what retirement is supposed to be is a first step. This opens up a wide variety of possibilities that have both emotional and financial benefits. Too often we think of retirement as an ending that doesn’t hold the promise of a new beginning. No wonder we can feel depressed and anxious at the thought of the culmination of a career! What if, instead, we could vision that culmination as a springboard to something new and fulfilling? My new beginning in my retirement was the creation of my counseling practice Women Reshaping Lives. I learned a lot about myself in following this path. New experiences, meeting new people and enjoying the journey have been just some of the rewards. It also became the piece of my financial puzzle that made a difference. Q: What encouragement might you offer a woman who is in the midst of this life transition? A: I would first encourage her to face the fears she is holding about retirement and aging. It may be loss of work identity or fears of fading vitality and health. Perhaps there are worries about losing a sense of usefulness. By facing whatever those fears are, feeling them and moving through them, she can pave the way to create the right retirement fit for herself. Q: Are there some specific actions that could be especially helpful? Admit your fear with compassion and empathy. Own your fear. Our fears exist within us and only we can decide to stay stuck in them or move through them. Feel your fear. We may fight mightily against this, but by allowing ourselves to find that deepest place where our fears reside, we can send understanding and love to them and let them pass through us. Express your feelings. Speak them, write them, shout them! Repressing emotions, especially the ones that are the hardest, only keeps us stuck. Let go of your fear. In the act of choosing to let go, you are also using its energy in a positive way to move you forward. Visualize the positive outcomes you are looking for. Imagine yourself on the balcony, observing with objective clarity to see where you are and where you want to be. This will empower you. Take action over your fear. Stand your ground; plant your feet firmly as you move into your new beginning. Whether it is volunteer work, a part-time job, a new hobby, friends, family or a combination of all of them, chart your course for your health, well-being and meaningful living. I’m grateful to Susan for contributing her insights to this month’s column. You can learn more about Women Reshaping Lives, LLC by visiting www.womenreshapinglives.com. Susan Levine, MA, LPC, is a Connecticut licensed professional counselor who specializes in working with women going through major life transitions.